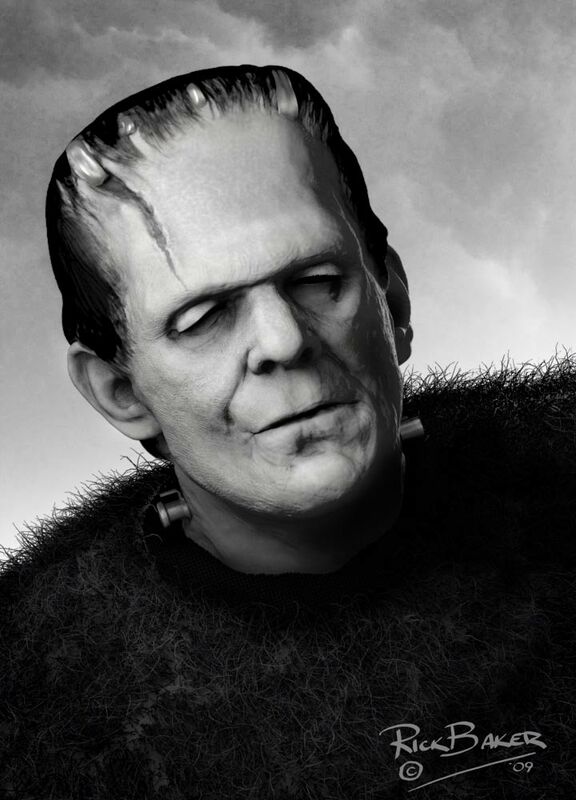 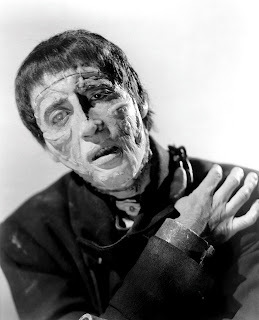 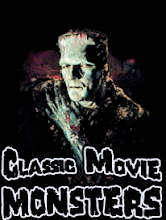 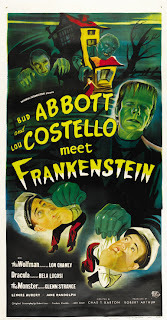 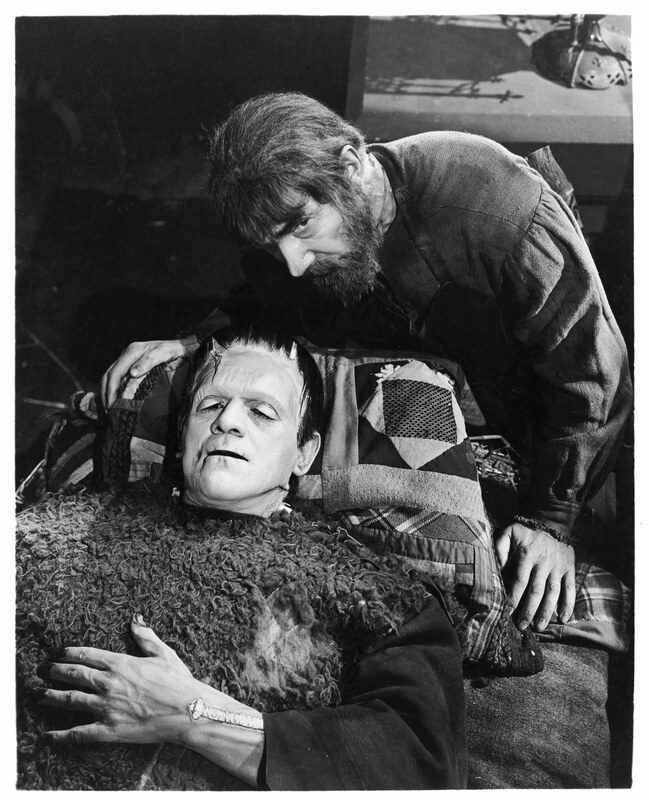 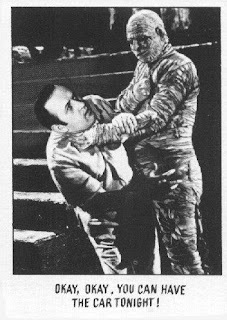 Ygor look after the Monster in "Son of Frankenstein". 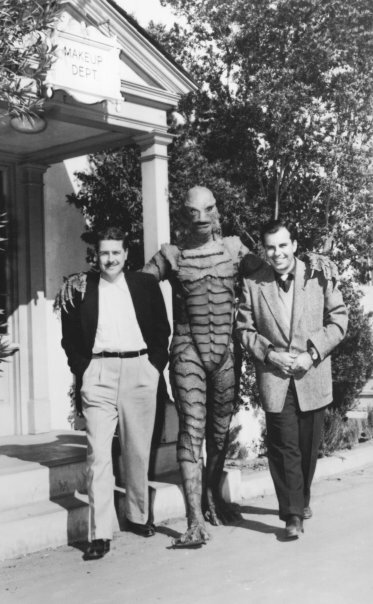 The Creature makes his way to the set with the help of the make-up department. 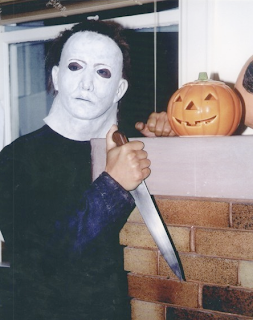 This is one of the creepiest moments from the original "Halloween". John Carradine seduces Martha O'Driscoll in "House of Dracula". 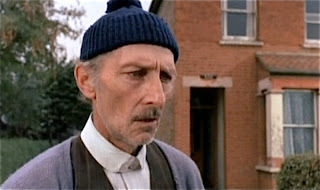 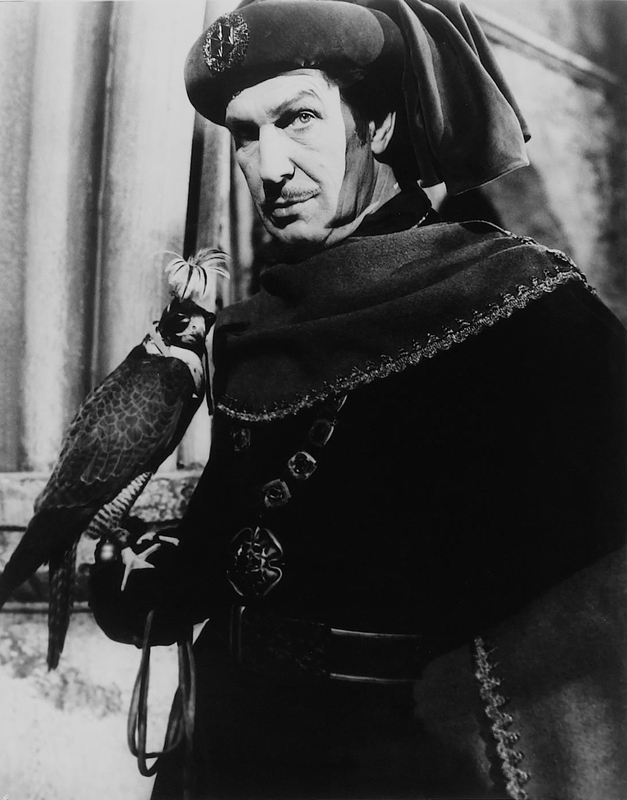 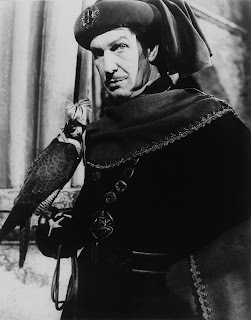 Yesterday was Peter Cushing's birthday and I forgot to post something. 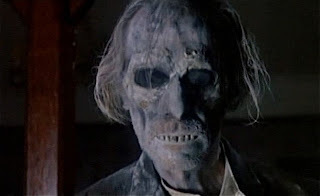 Here is a before and after shot from my favorite performance of his as Grimsdyke in "Tales From the Crypt". 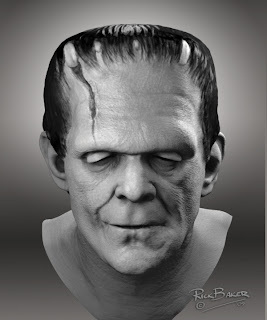 "The Masque of Red Death"
Here is another portrait of Rick Baker's "Son of Frankenstein" on Zbrush. 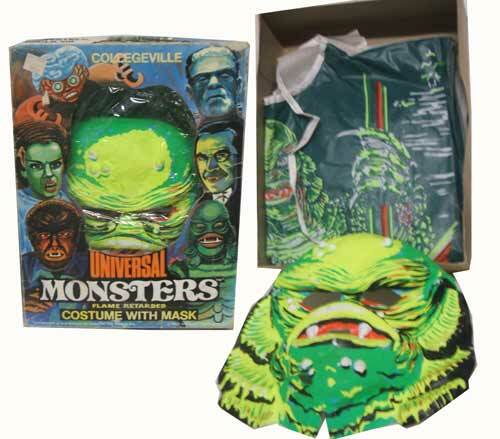 A great box for a Don Post Frankenstein Mask. 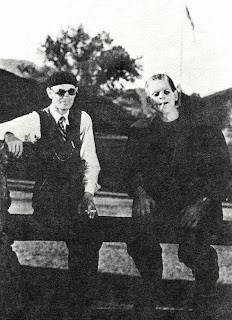 Director James Whale and Boris Karloff take a break from filming "Frankenstein". 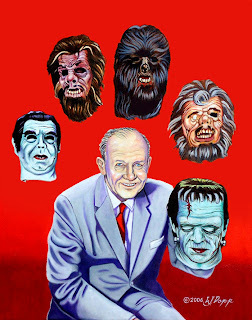 Here is a terrific painting of Don Post with his famous Calendar Masks. 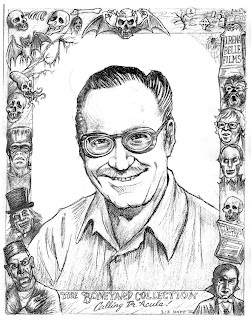 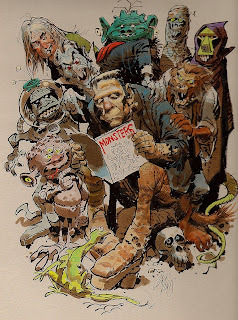 Jack Davis made this piece for a book on Monster Magazines. 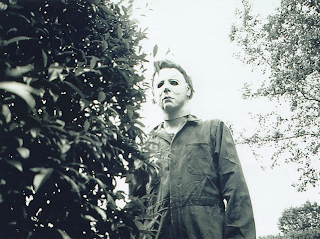 Here is a terrific photo of Michael Myers from "Halloween 5: The Revenge of Michael Myers". Neimann and Daniel prepare new brains for the Monster and the Wolf Man in "House of Frankenstein". 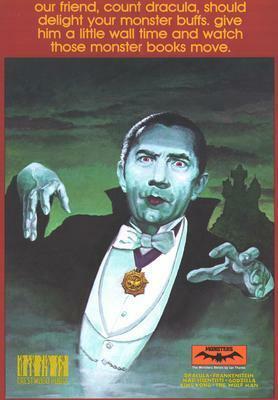 Basil Gogos made another wonderful painting. 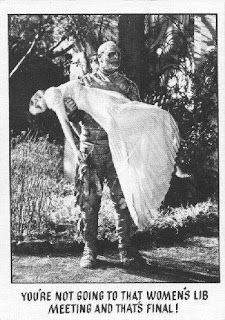 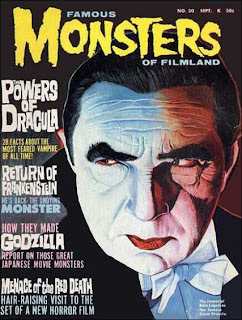 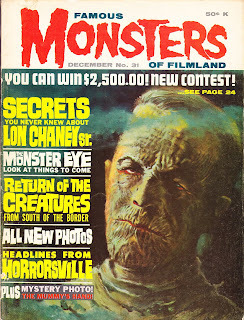 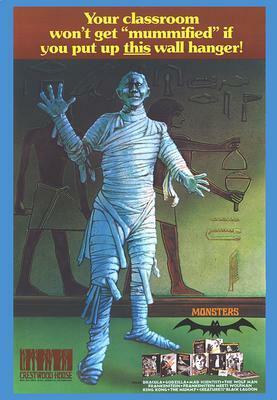 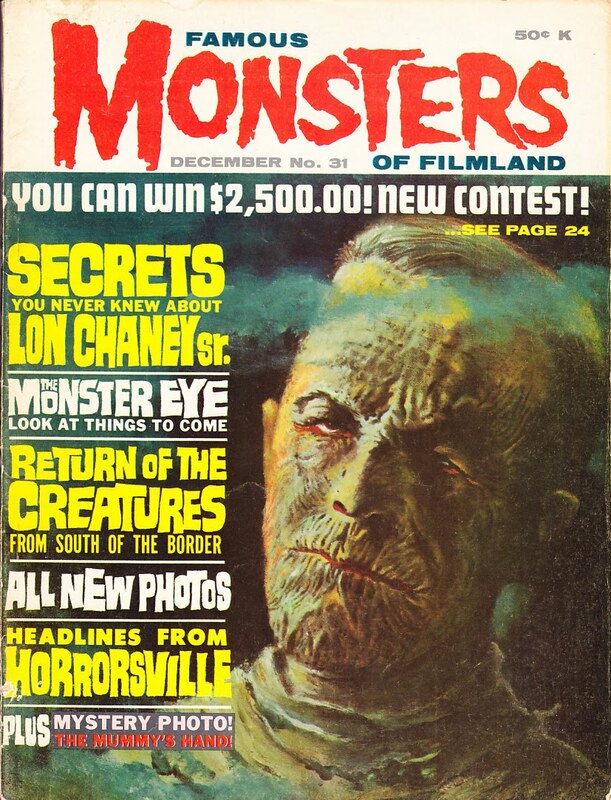 This time it was for Famous Monsters #134. 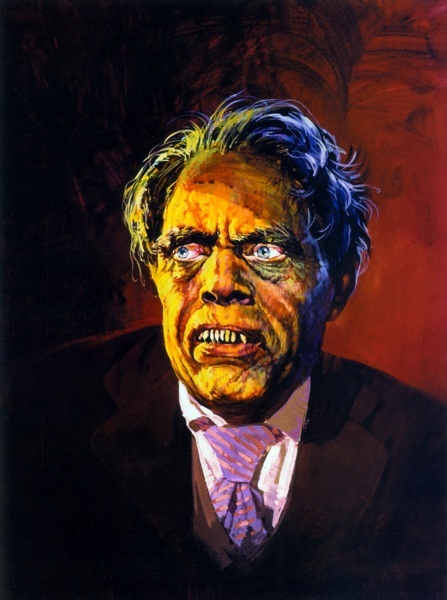 Here we get the "Son of Dr. Jekyll". 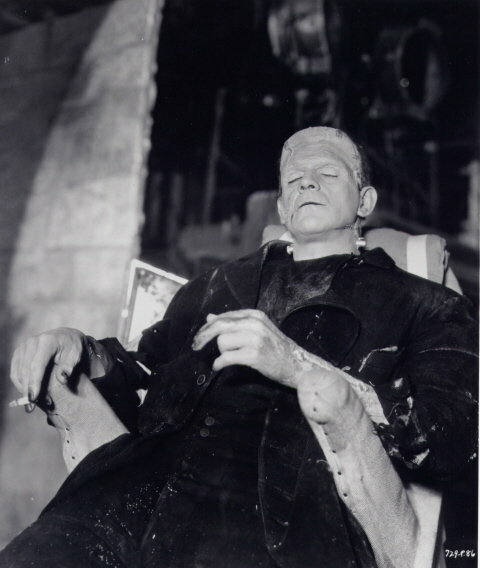 Karloff takes a nap during production of "Bride of Frankenstein". 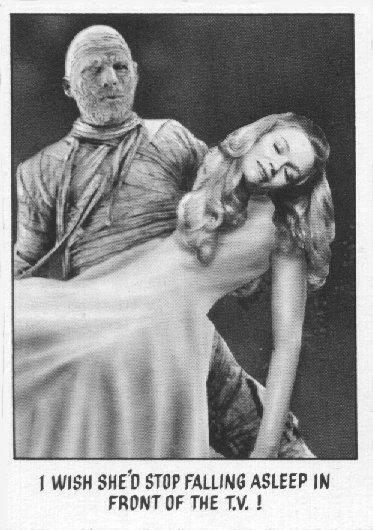 Baby Jane admires her collectible self in "What Ever Happened to Baby Jane?" Michael Myers confronts a nurse in "Halloween: The Curse of Michael Myers". 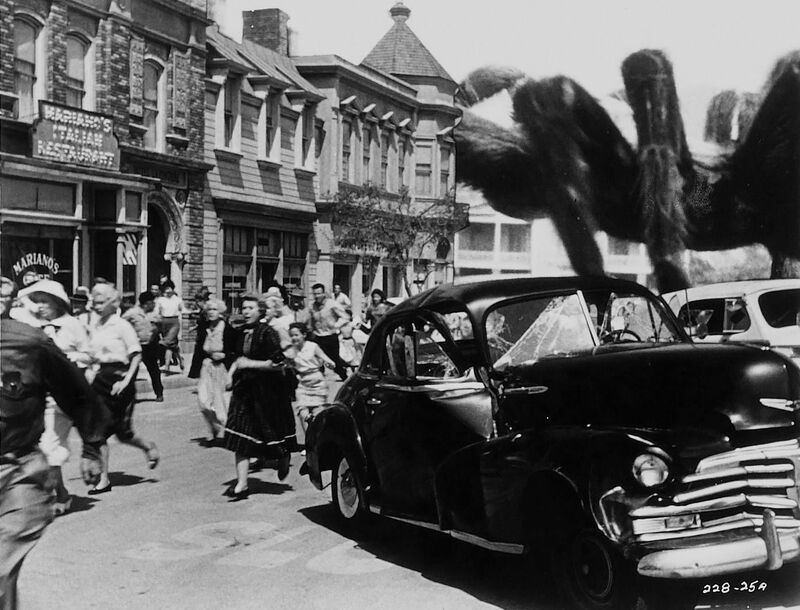 Cheese is on the menu for dinner in "The Incredible Shrinking Man". 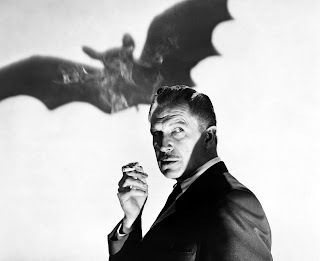 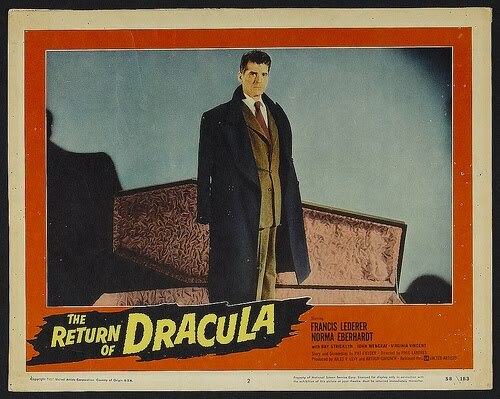 Lon Chaney, Jr. is a dangerous presence in "Son of Dracula". Rick Baker made these amazing images using the ZBrush program. ZBrush is a digital sculpting program that makes images look incredibly lifelike. 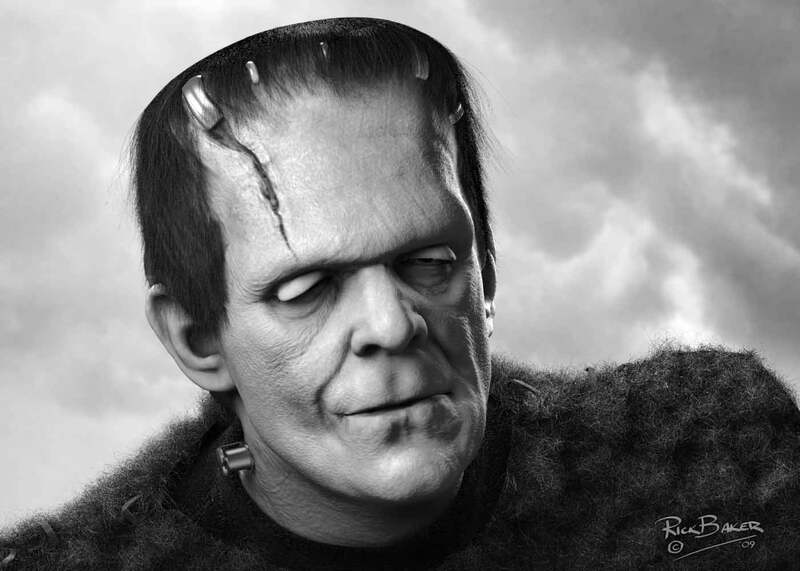 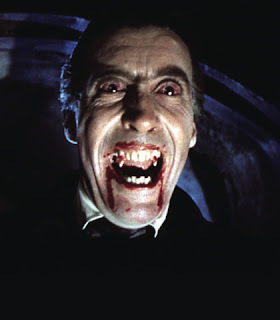 This is just another example of how talented Rick Baker is. 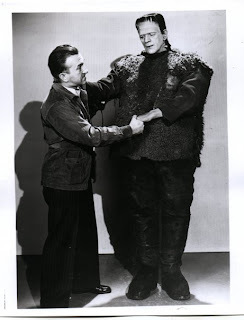 Jack Pierce with Karloff during production on "Son of Frankenstein". 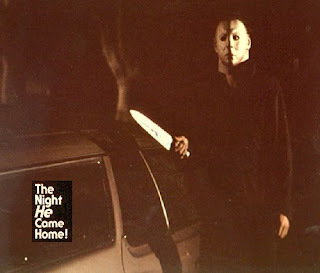 Here is a rare lobby card from "Halloween". 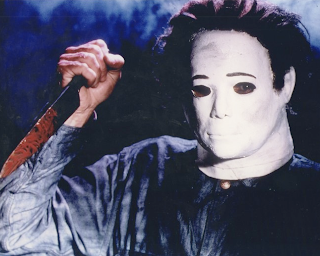 This is Michael Myers as he appeared in "Halloween 4: The Return of Michael Myers". Dr. Mannering prepares for the operation of a lifetime in "Frankenstein Meets the Wolf Man". Here is an intense shot from AIP's "The Spider"! 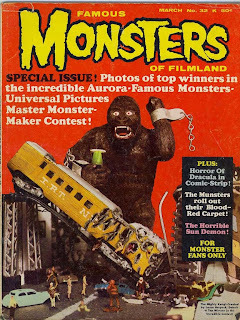 Ads for Crestwood House Monsters! 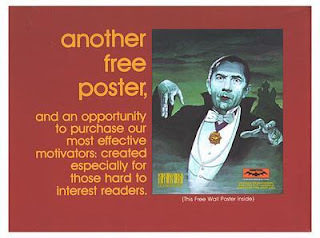 Here are some posters advertising the Crestwood House Monster books. These were my favorite books as a kid and I fortunately have a complete set today! 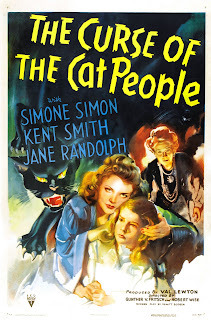 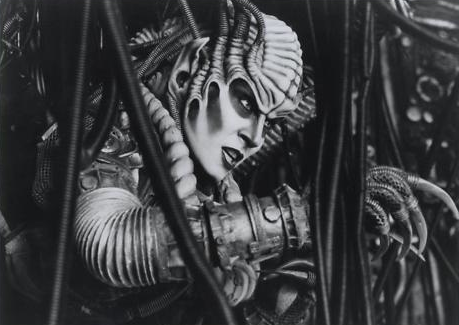 Monster Movie Posters: "The Curse of the Cat People"
This is Anjelica Huston as she appeared in Michael Jackson's "Captain EO". 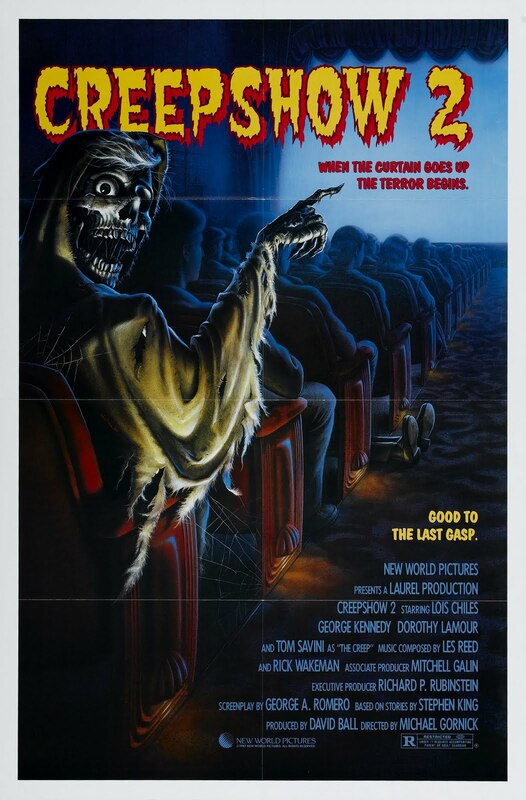 Monster Movie Posters: "Creepshow 2"
The Monster escapes his trial in "Ghost of Frankenstein". 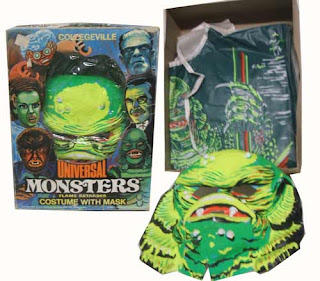 Get Your Creature Mask Today! 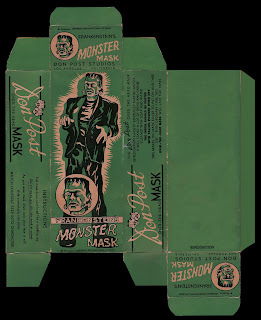 Oh how I wish I could find things like this in stores today! 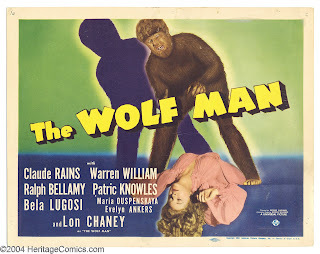 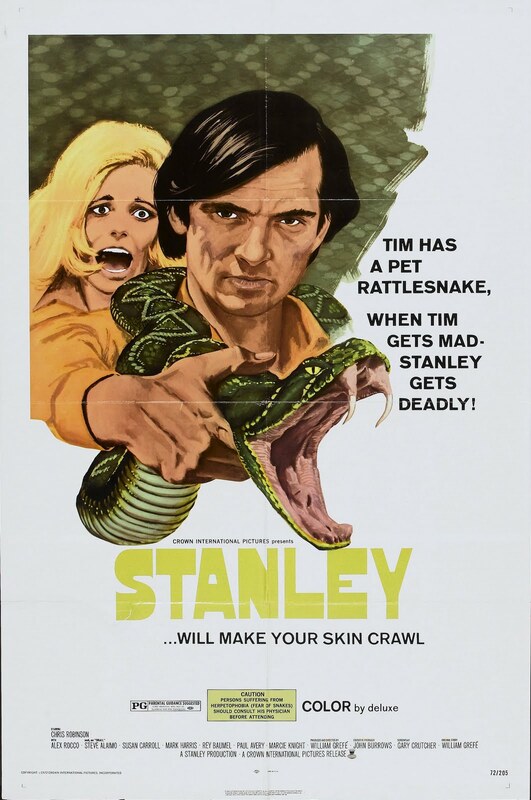 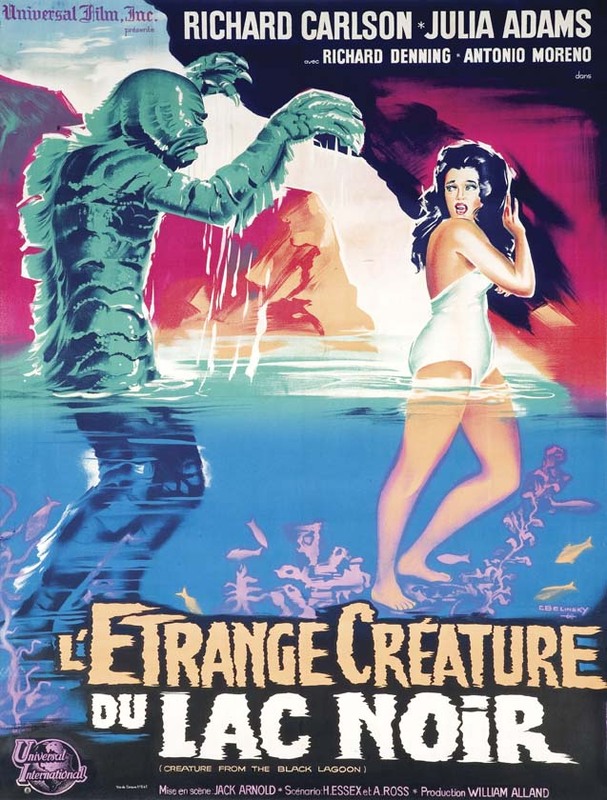 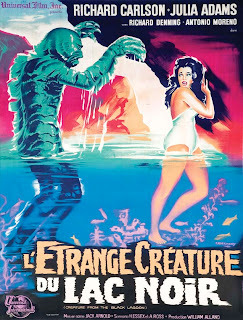 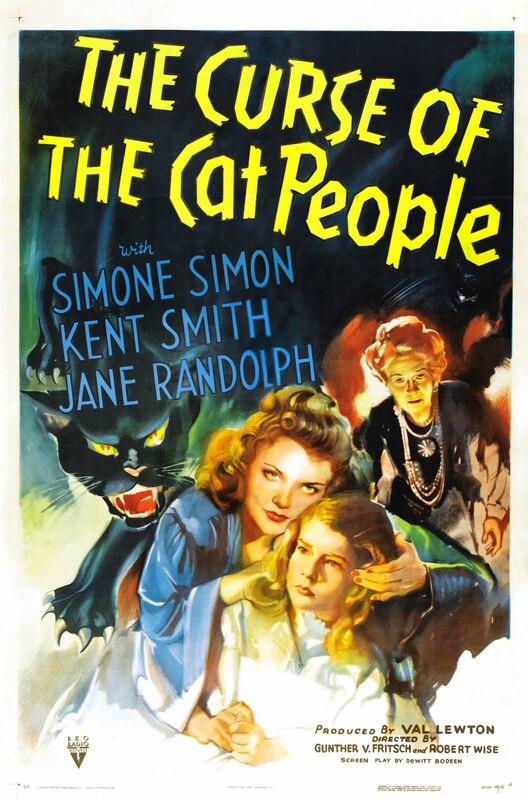 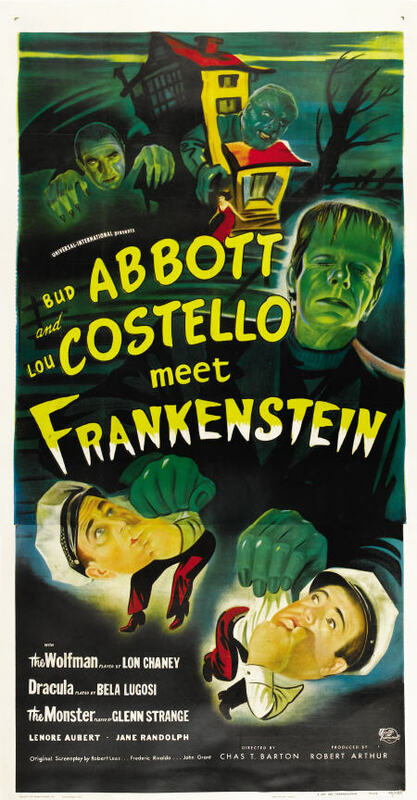 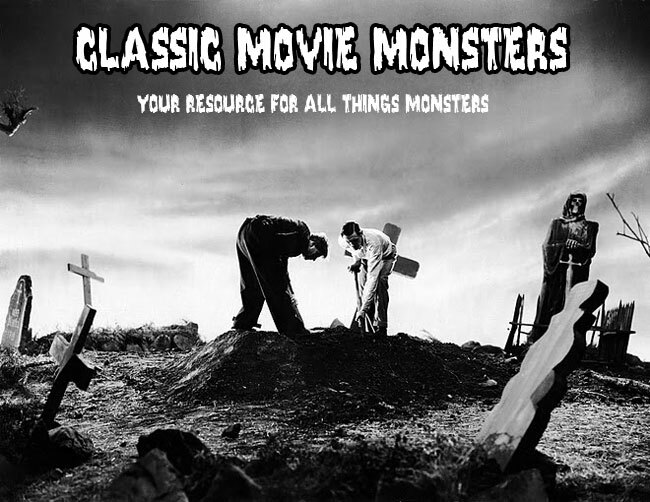 Monster Movie Posters: "The Frozen Ghost"
Monster Movie Posters: "Strange Confession"